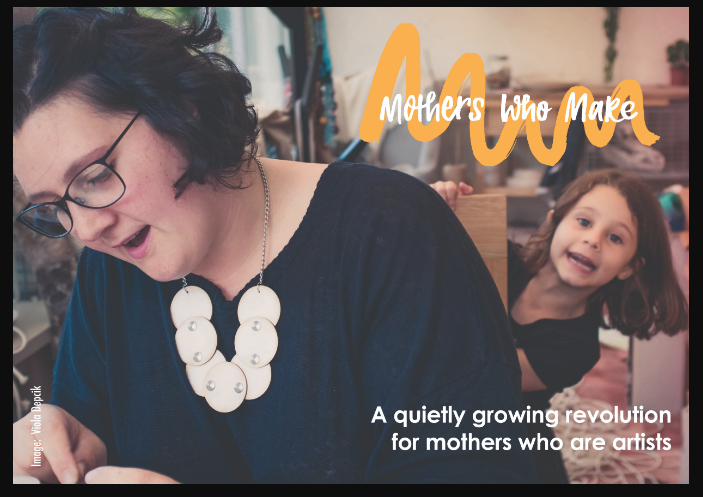 Mothers Who Make is a growing national initiative aimed at supporting mothers who are artists - professional and/or passionate – writers, painters, actors, dancers, musicians, film-makers....every kind of maker is welcomed, and every kind of mother. MWM was born in London in 2014 with Theatre Maker and Improbable Associate Director, Matilda Leyser. The initiative grew from Leyser's sense of there being experiences and challenges specific to being both a mother and an artist. She noticed many parallels between the two roles: both are concerned with creativity and play, both require stamina, patience, sensitivity, both keep her up at night. At the same time she was struck by the strength of the cultural assumption that the two were incompatible: she was told she must compromise on either her creative work or her mothering. She wanted to challenge this. She put out an invitation to mother-artists, across art forms, to join a peer support group to which they could also bring their children of any age. The response has been extraordinary. MWM has rapidly spread across the country. There are currently regular peer-support groups meeting at 22 major arts-related venues in different regions, with more groups in the process of starting across the UK in 2019. MWM meetings take place monthly in an arts-related venue. It is critical that the meeting is given the status of a participatory workshop, a rehearsal or class. A local mother-artist acts as a facilitator and participants are supported to exchange and work in a variety of ways. 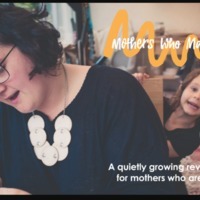 They explore emergent themes in their mothering and their making, points of connection between the two roles, points of dissonance, particular challenges, helpful resources. Examples of recent themes include: how to change and maintain your practice; the positive impact of motherhood on your work; housework – who does it?! Every MWM meeting models a rare space in which participants are recognized and valued equally in their dual roles of mother and artist. The sessions are adult-centred but children are welcome to attend. Each MWM group shares a common ethos and practice but is able to grow and develop in response to the needs and interests of the regional artists that attend it. We want as many people as possible to be part of the unfolding MWM conversations. We do not seek to define who is a 'mother' or an 'artist'. Our reach is across generations and artforms - we are thrilled by the plurality of voices that are part of this discussion. info, “Mothers Who Make,” Artist Parent Index , accessed April 20, 2019, http://artistparentindex.com/items/show/353. Use the search feature to find entries related to specific topics or mediums. Search by location using our interactive map. Is the database missing something? How have you used the website? Tell us about it here in a quick, four-question survey.